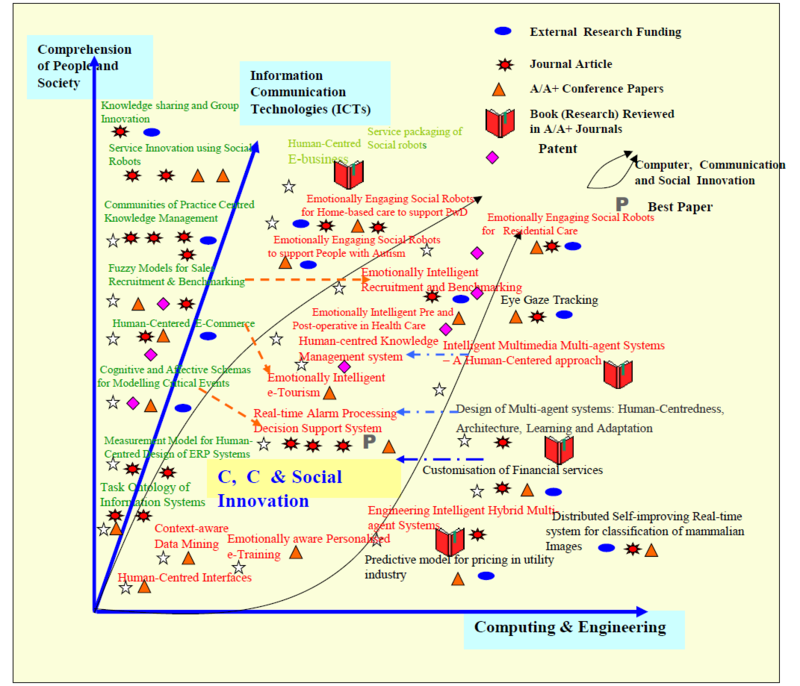 Traditionally the design of information systems and Information and Communication Technologies (ICTs) was underpinned in the laws of physics. 20th-century technologies based on such theories supported only systems of information communication, but they didn’t deal with real societies or real problems. At the Research Centre for Computers, Communication and Social Innovation (RECCSI) we develop information systems that help solve social problems. These social issues include ageing population, social isolation of elderly, Alzheimer’s Disease, depression, changing dynamics of the nuclear family, quality of life, availability, cost and quality of care in hospitals. These social issues also include heightened stress levels of health care workers and others, employee retention and job satisfaction, student motivation in primary, secondary and tertiary education, and sustainability of organisations and environment. We introduce new technology-enabled ecosystems to produce social innovation. 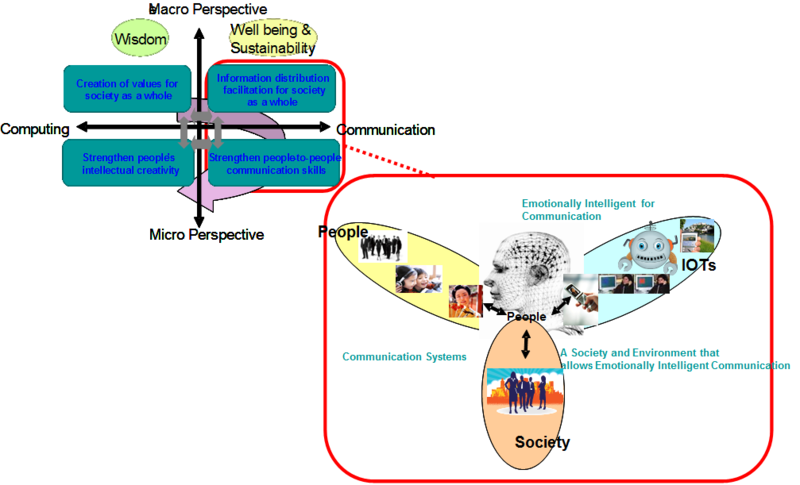 The cross-disciplinary ecosystems have human-like engagement as a key component, combining social and human science with computer and communication technologies. The front end of this ecosystem consists of an Internet of things (IoTs): a network of devices, objects and other items— embedded with electronics, software, sensors, and network connectivity that enables these objects to collect and exchange data. Example devices include a socially assistive robot, Fitbit, heart rate monitor, smart watch, smart phones, smart TV, tablets and cloud networks. In collaboration with our partners, we have designed communication robots with human sensing and tracking attributes like emotion, speech, gestures, face tracking, touch and motion sensors. These robots work with their human partners to address social problems and issues. The back end of the ecosystem consists of real-time intelligent analytics to personalise the services delivered by the Internet of things for individuals and society. It is expected that smart devices like the internet, tablets, assistive robots, mobile phones will be one communication component among many others.